DriveSmart BC – Distracted Driving Month in B.C. Hey you! Yeah, YOU, put the phone down and pay attention to where you’re driving! In 2015 police wrote over 44,000 traffic tickets for distracted driving violations in B.C. ICBC tells us that about 30% of crashes in B.C. involve driving while distracted. Recent changes to the distracted driving legislation saw fines change from $196 to $348 + $175 from 4 penalty points yet look around you in traffic and see how many drivers you can find with an electronic device in hand. The last time that ICBC commissioned a poll on distracted driving almost everyone agreed that texting while driving was dangerous, but 40% of drivers with cell phones had used it while driving in the preceding six months. ICBC, police and volunteers have worked together to plan more enforcement deployments across the province with over 70 police enforcement events and over 50 Cell Watch deployments with volunteers roadside this month. The aim is to give drivers the clear message that if they drive while distracted, they’re even more likely to be caught. So, if we know that this is not a good idea, why do some of us do it? Perhaps we could ask the same question of impaired drivers, speeders or those who don’t stop at stop signs. I suspect that it’s a combination of putting one’s perceived needs ahead of everyone else, our rationalization that we’re good drivers so we can do this safely or we don’t think that there is much chance of being caught. There is even talk of cell phone use being an addiction that creates a compulsion to use it regardless of the circumstances that we find ourselves in at the time. We should be very concerned that the age group most likely to ignore the rules surrounding electronics and distraction are the younger drivers. They neither have the skills nor the experience of an accomplished driver yet they willingly take on the risk of divided attention while driving. The Traffic Injury Research Foundation has published a National Action Plan on Distracted Driving for Canada. While education, enforcement and legislation are in place, co-ordination among stakeholders is missing. Hopefully the formation of the Canadian Coalition on Distracted Driving will facilitate co-ordination going forward. Ultimately, the solution to the problem comes down to the individual, that is me and you. Together we can do things like shutting off our phone when we get into the vehicle, install an app like OneTap that silences notifications while driving, refusing to talk or text with friends and familiy while they drive, pull over and park to text or make a call. Got the message? Aside: Please remember that a link back to my site is a condition on the provision of this article for publication. I appreciate the courtesy! 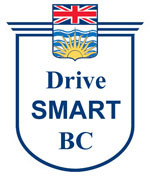 Be the first to comment on "DriveSmart BC – Distracted Driving Month in B.C."